Mike Boynton is looking to go 2-0 in Lawrence. 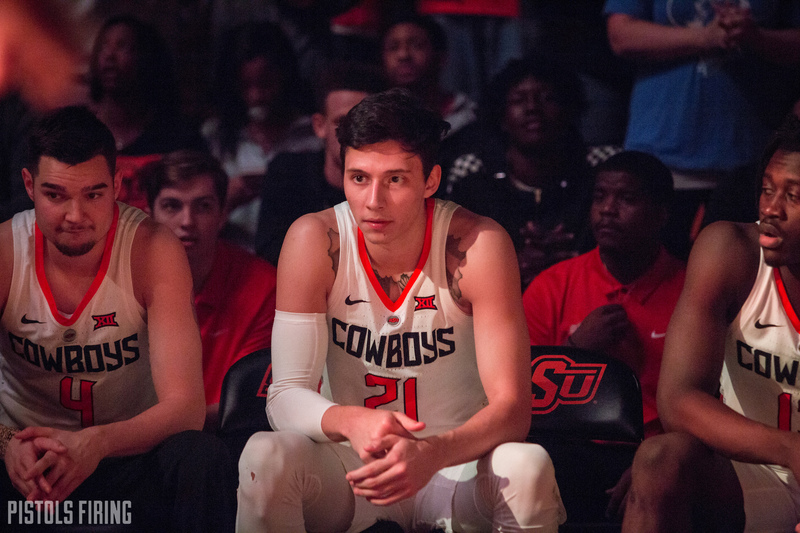 STILLWATER — If the Cowboys find a way to win Saturday, it will be the first time the program has won back-to-back games in Phog Allen Fieldhouse since the 1960s. It’s a tall task for Oklahoma State’s six-man rotation, but Kansas is in an uncharacteristic slump. The Jayhawks lost star big man Udoka Azubuike for the season with a hand injury. They’ve been without Silvio De Sousa all season, who will have to sit the remainder of the year and next season after an NCAA ruling. Marcus Garrett has sat out Kansas’ past two games with an ankle injury. And after all of that, Lagerald Vick, KU’s leader in minutes per game, is taking a leave of absence to deal with personal matters. At 6-4 in Big 12 play, the Jayhawks are flirting with not winning the Big 12 for the first time since the 2003-04 season. All of that doesn’t make OSU a favorite by any means. The Cowboys haven’t won a Big 12 game since Jan. 12. Here are the details of the Cowboys and Jayhawks first meeting of the season. “They’ve got, obviously, still a lot of talented dudes over there. It takes time. I think the biggest thing right now is: they’re going through what most anybody goes through. They don’t go through it as often or as clearly as everybody else all the time, but they’re really young in the backcourt. They’re playing a lot of freshman a lot of minutes.